Virtual Make and Take – Mother’s Day! Mother’s Day is this Sunday– but don’t worry, we’ve got you covered! Here’s a round up of adorable ideas that you can throw together at the last minute! 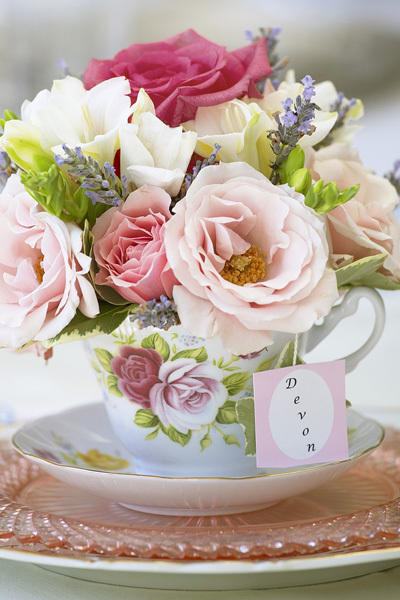 How about a beautiful vintage teacup bouquet? She’ll enjoy the flowers and then have a lasting token to remember the day. 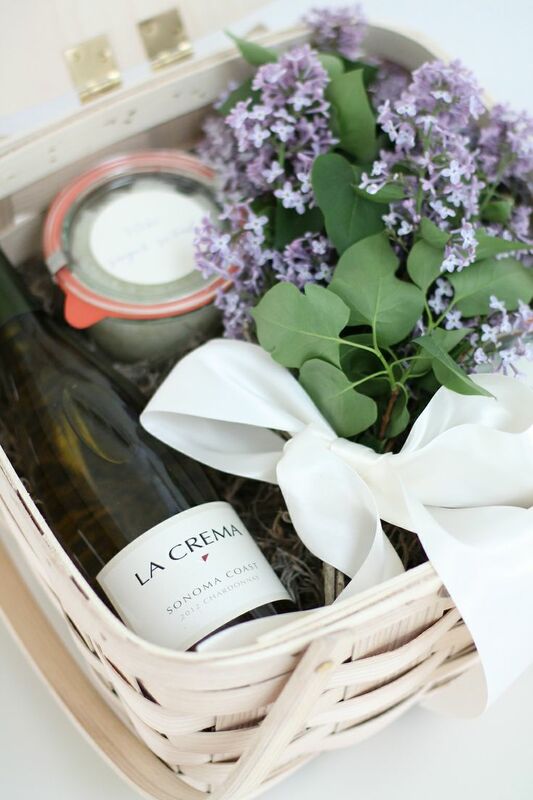 Here is a sweet picnic basket full of goodies mom would love to open; lavender tied in ribbon and a rich hand crème perhaps? 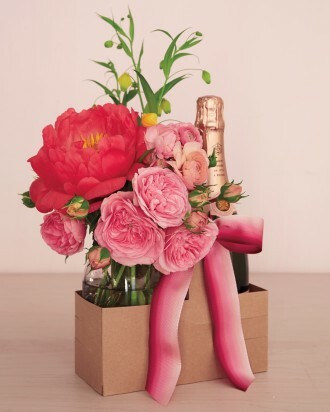 The secret to the next one is a gorgeous bouquet of peonies and roses– and pink champagne! Tote it to Mother’s Day Brunch in a versatile drink caddy tied in ombre ribbon. 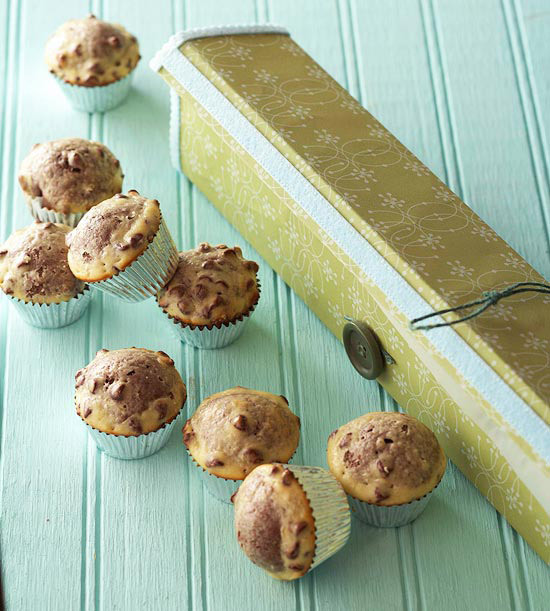 If homemade is more her style or you want something that the little ones can help with, how about this paper covered parchment box of mini muffins. So sweet! 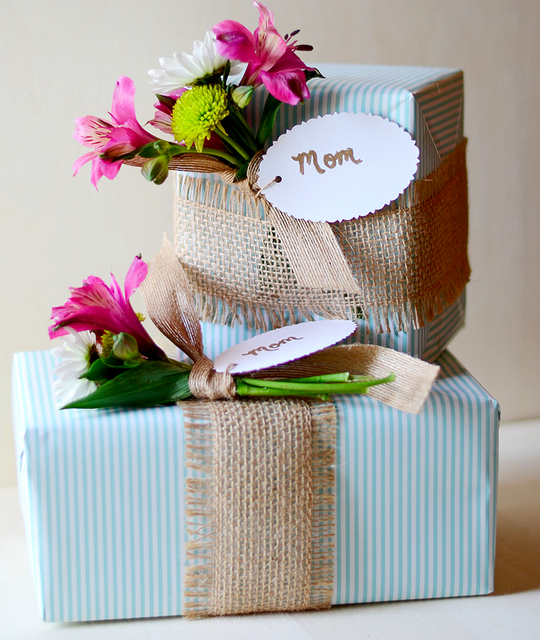 And last, in case you need adorable wrapping inspiration, here is one topped with a mini fresh bouquet and burlap ribbon. Wishing you all a wonderful Mother’s Day! Do you follow Laurie on Pinterest? Come pin with her!